With our position on the edge of northwest Europe, the UK receives air masses from all points of the compass during the year adding to the natural variability of our weather. This fact is known by meteorologists and birdwatchers because when air masses approach the UK during bird migration times – principally spring and autumn – then exotic birds from other parts of the world can unexpectedly arrive on our shores. Grahame Madge is a Met Office spokesman and keen birdwatcher. He said: “From a birdwatcher’s point of view at least, 2016 has been a remarkable year with several species never seen before arriving from different parts of the world, and it’s believed the weather has played a large part in their arrival. “Although these records will need to gain acceptance before they are included on the official British list, there is little doubt that the weather has encouraged their arrival. 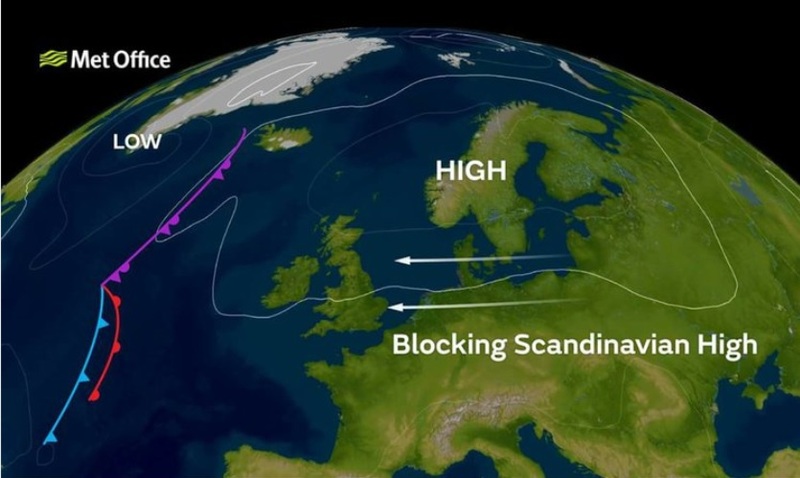 High pressure centred over Scandinavia during October created easterly winds bringing birds from Siberia to the UK. 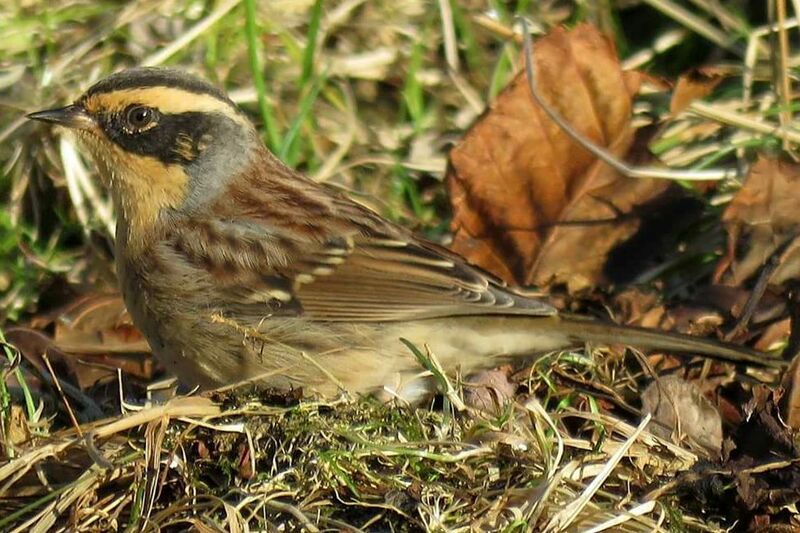 The mini influx of Siberian accentors allowed bird photographers to obtain breathtaking views. Picture courtesy of Paul Hackett. Grahame Madge continued: “In autumn the UK receives a fair proportion of its weather from the northern Atlantic, and the prevailing weather systems will sometimes sweep birds from North America to the coasts of northwestern Europe, including the UK. With the autumn dominated by easterlies, there was less of westerly influence within our weather, but the second half of September was changeable with frequent frontal systems and a spell of windy weather in Scotland coincided with the first UK appearance on Barra of an eastern kingbird – a songbird which should be more at home in September in the West Side of New York, rather than the Western Isles. “A warm spell of weather in May, combined with easterly and south-easterly winds, is thought to have been partly responsible for the arrival of a Dalmatian pelican and a type of vulture – known as a lammergeier or bone-breaker. Both of these birds – which are inhabitants of south-eastern or southern Europe – are reluctant long-distance fliers, so a tail wind could easily have aided their journey to the UK. Norman – the red-footed booby – was among the more unusual bird visitors to the UK during 2016. Picture courtesy: RSPCA. Apart from Siberia, North America and Europe, the tropical Atlantic is an origin for some birds recorded in Britain and Ireland. 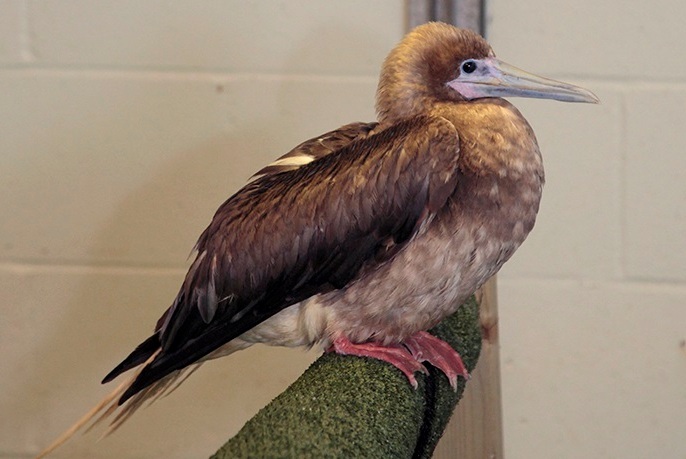 Perhaps one of the most unusual birds to arrive in the UK during 2016 was a red-footed booby – a type of gannet from the tropical Atlantic – which was found beached in East Sussex in September. Not many birdwatchers will have seen the bird in the wild as the underweight individual was taken into care, finally arriving at the RSPCA’s Mallydams Wood centre. 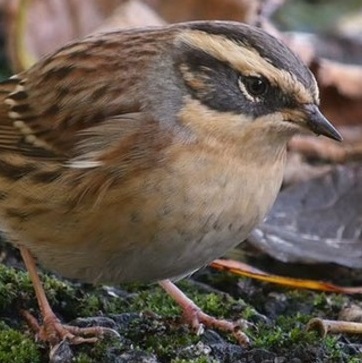 Never recorded before in the UK, this bird had a long journey to arrive here as the species is more familiar in the Caribbean and the western part of the tropical Atlantic. However, unlike most birds which arrive accidentally on our shores this individual – Christened Norman – had an easier return journey as it has been flown to the West Indies. RSPCA wildlife vet Barbara Watson flew alongside Norman to keep an eye on his progress and carry out vet checks before and after the flight. Barbara said: “I never imagined in my career I would be asked to treat a red-footed booby, as they have never been seen over here before. It is so wonderful to be able to take Norman back to the wild where he belongs. Grahame Madge added: “The red-footed booby is perhaps one of the most unlikely birds to have occurred in the UK. Hopefully Norman will remain in the Caribbean, among his own kind, but who knows whether a hurricane will dislodge him or one of his companions and send him or another tropical seabird in our direction. This entry was posted in Met Office News and tagged Atlantic, Atlantic Ocean, blocking high, Caribbean, climate, high pressure, Met Office, migrating birds, tropical storm, UK weather, weather. Bookmark the permalink.